Yesterday, I treated my helper again to lunch. It was a holiday in the Philippines (Day of Valor), and it was just fitting to share a meal with the person who makes life easier for me and my family. She is our everyday hero, and I’m grateful that she’s in our lives. 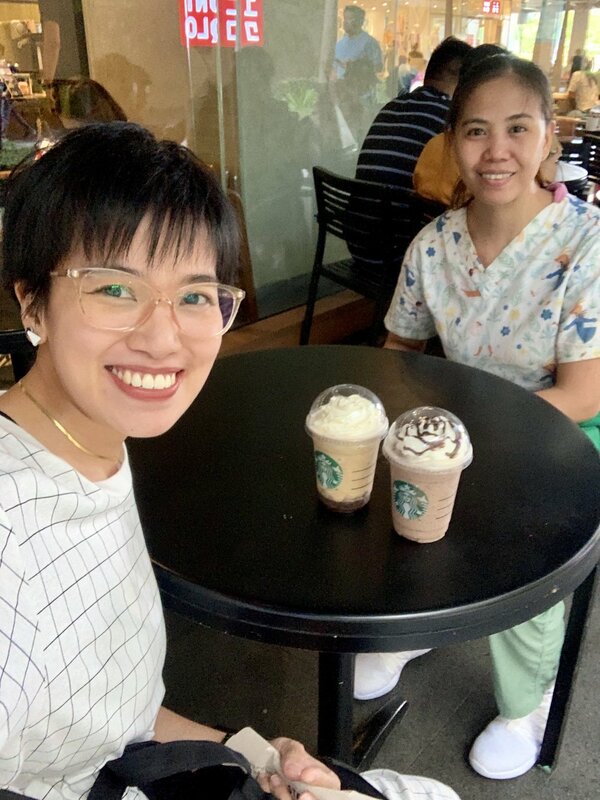 I also had coffee with her at Starbucks because I found out that she’s never had a frappe in her entire life. It’s remarkable to share firsts with friends, and I’m happy to have been privileged to buy coffee for my helper. Let’s continue celebrating our daily heroes who never cease to simplify our lives.